Every day people who have never been arrested for anything in their lives find themselves under arrest for DUI. People in this situation are often scared, angry at the way they were treated by the police, worried about how DUI charge will impact their job, child custody issues, or immigration status. They know they need a criminal defense lawyer, but are confused about how to find a good one. If you are reading this, you are probably in that situation. Your confusion is made worse by the internet — a sea of websites filled with conflicting information from criminal defense attorneys who claim to be “DUI experts.” Then there’s the “jail mail”, the flood of solicitations from lawyers who promise spectacular results at low prices. And there’s the endless parade of well-meaning friends and family who offer advice that may or not be any good. No matter what anyone tells you, if you want a good result on your DUI case, there are no “quick fixes.” DUI defense is highly technical and it requires a thorough understanding of the police procedures during a DUI arrest, the process of breath or blood alcohol testing and analysis, and skill in obtaining police records that the prosecutor will not want to disclose. A good DUI lawyer will understand how to prepare for the DMV hearing, which is much different than preparing for the court proceedings. And of course, a real DUI defense attorney knows how to take a case to trial. How do you find a good DUI defense lawyer? If you don’t know anyone who has been arrested for a DUI who can recommend a criminal defense attorney or you don’t know personally know any criminal lawyers, here’s some suggestions about how to find a DUI defense attorney. Ask another lawyer to recommend someone. Ask a lawyer you trust to recommend a criminal lawyer. Even if the attorney you ask does not practice criminal law, he or she will know who to recommend. This is how the majority of my DUI clients come to me. If you can’t get a referral, use the internet wisely. There is no shortage of DUI attorney websites, all crammed with facts and figures and information. Keep in mind that you have no idea if the attorney actually wrote what you’re reading. There’s plenty of companies out there who write websites for criminal defense attorneys that can make anyone anyone sound like an expert. You need to interview the lawyer to figure out if they know what they’re talking about and if they’re right for you. Local lawyers are key. More than any other area of criminal law, DUI policies and procedures are drastically different in every California county and in some counties, there’s differences from courthouse to courthouse. For example, I am an experienced criminal defense lawyer. I know how each LA County courthouse approaches DUI cases. I have no idea what goes on with DUI cases in San Diego County. Sure, I have extensive knowledge of California DUI law, which is the same in every county, but knowing how DUIs are handled in a particular county and particular courthouse is critical. 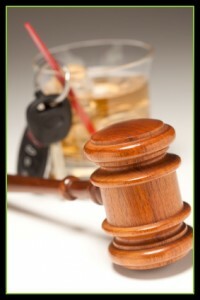 Be sure the attorney knows how DUIs operate in the county and courthouse your case is in. Make sure the DUI lawyer is listening to you. When interviewing a DUI defense lawyer, he or she needs to give you real feedback and a real opinion about your case. If a criminal defense attorney is just trying to “sell you” his or her services and pressuring you into signing a retainer, you should be suspicious. You have a lot at stake here, you shouldn’t feel like you are being pressured to buy something. No lawyer can “promise” a result in a DUI case. If a DUI defense lawyer promises you or guarantees you an outcome of your case, be very skeptical. There are no guarantees in criminal cases, period. If a DUI attorney promises you an outcome in your case before ever seeing a police report or the results of chemical tests, then you are dealing with someone who is either dishonest or has no idea what they’re doing. The lawyer should explain the procedure and potential consequences of your case in plain English. A good criminal lawyer will explain the DUI procedure, the penalties, and your options in a way you can understand. The lawyer should also be patient and responsive to your questions. Specific Strategy. If you are able to obtain a police report and your breath or blood test results through the DMV, bring them with you when you meet with potential lawyers. The lawyer should be able to review the materials and at least give you the beginnings of a strategy about your case in concrete and specific terms. This strategy should encompass both the court proceeding and the DMV hearing. Collateral Consequences. A good DUI defense lawyer can advise a client and suggest solutions about the impact a DUI conviction will have on your job, immigration status, car insurance, child custody issues, or any other aspect of your life. Trust your instincts. If you have a “gut feeling” that a DUI lawyer is the right one for you, trust that. You may talk to three lawyers, all of whom are qualified and all who would do an excellent job – if one of the three is easier for you to talk to and you like better, pick that one. Good luck to you. Of course, this is an article on a webpage for my law firm. I handle criminal defense and all DUIs in Los Angeles County. If you want to find out if I practice what I preach, call me at 310-210-0744 for a free consultation.